“I’m Huffing and Puffing and Sweating… How Long Will This Last?” | Keep It Up, David! 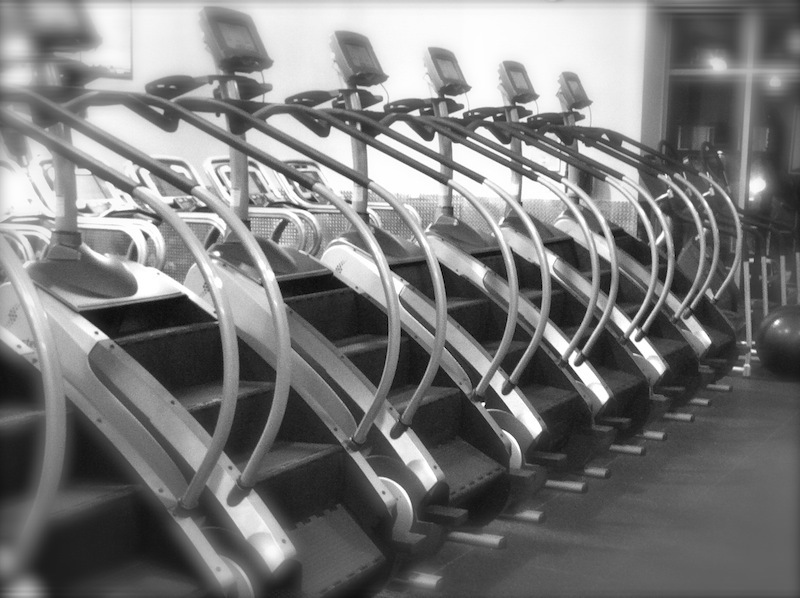 Today I’m answering a reader question, and it’s about a tried-and-true piece of fitness equipment: the stepmill! Let’s see what’s on Lily’s mind. Hello there. I am 49 years old with 41% body fat. I’ve been in and out of gyms (mostly out) for decades. A fire has been lit under me to lose this excess weight before I’m 50. I am six days into a routine where I’m using a stepmill for 30 minutes each day. And my heart rate is in the 160s every time, and I’m only on level 2, which is very slow! But I’m huffing and puffing and sweating while on level 1 or 2. Is this normal? How long will this last? Hello Lily! What a fantastic workout plan! I’m not a doctor nor personal trainer, but I can share a couple non-expert thoughts. First of all, my heart rate easily gets that high on a stepmill. Stairs are hard! That’s why it’s such a great workout. You pointed out that you’re huffing and puffing, and guess what? That means your body is being pushed, and that’s the point of exercise! It also sounds like all this exercise might be a big change for your body, which could be used to a more sedentary lifestyle. If you continue on the stepmill, or with other types of exercise (and I hope you do! ), your body will become more used to it, grow stronger, and you’ll build greater endurance. All this may lead to less sweating or a not-quite-as-elevated heart rate. I can’t tell you how long that will take – it’s different for everyone. You’re doing great things for your health, and your body is responding in all the ways it’s supposed to. I would only worry about your heart rate if it stays elevated long after your workout, long after you’ve cooled down and have moved on with your the day. Your doctor can tell you more, and there’s probably a trainer at your gym that can answer questions too. I applaud you for starting this new exercise regimen. Keep it up! I love hearing when people take a new step towards health. It’s a great reminder than anyone can do something, every day, to be a little bit healthier. Maybe you’re not ready for 30 minutes of stairs every day, like Lily was, but figure out what you’re ready for, and do it. No excuses. This entry was posted on Thursday, August 16th, 2018 at 12:33 am and is filed under Uncategorized. You can follow any responses to this entry through the RSS 2.0 feed. You can leave a response, or trackback from your own site. Good post!!! I’ve had so many friends stop exercising because their heart rate goes so high. I try to tell them that it is a good thing AND will come down!